I’m revamping the website here and an elbow deep in organizing my upcoming perinatal bereavement certification program. I’ve been working on it for months, actually, reflecting on the last eleven years as a bereaved mother, the last five years as a birth professional, the last four years as a bereavement doula and the last three years as a bereavement trainer. All this experience- every nightmare, every tear, every exciting new fact or study read, every birth attended, every class taught- all of it has brought me to this place. The place I am meeting my children’s legacy. This work- all of it- comes from how my children changed me. My sleeping babies deepened my well of compassion and empathy and courage and hope deeper than I had any idea it could go. My living babies bring me joy and energy and laughter. Each of them colors the totality of the work I do. Soon, I will be a midwife. Day by day, I witness new life coming into the world. I safeguard this precious passage as women bring forth their children. Sometimes, I stand witness as that life does not come into this world. I shake inside when I hear the mother wail, I tremble when I watch the father break. But I stand. I stand here in this work that my children brought me- the work of life. The work of grief. The work of joy. The work of sorrow. I work in the Valley of the Shadow of Death… and of life. It is a precious and terrible place to be. This calling humbles me. This early summer I work on a new project that invites you all in to where I am. Currently, I am offering a 12 part webinar series that trains birth professionals on the essential, vital knowledge they must have to companion women as doulas, as midwives, as nurses. As vital as knowing how to time a contraction, birth professionals MUST know how to support a family through pregnancy loss. 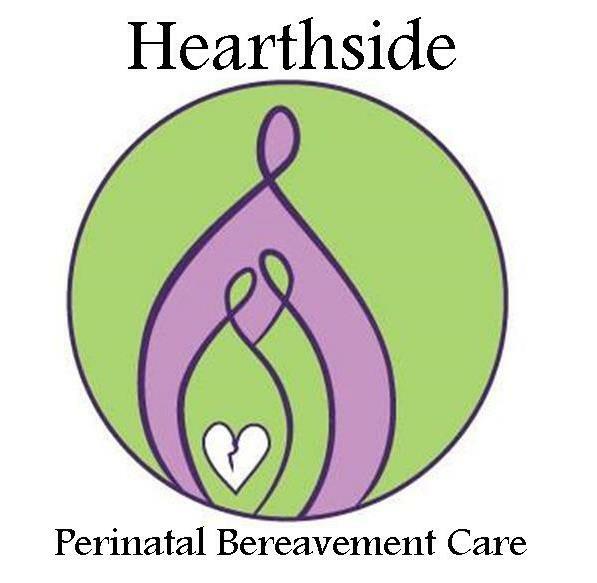 But in a few months, I will be issuing an invitation to those who feel a deep calling toward perinatal bereavement support. There is a subset of birth professionals, of social workers, or hospital administrators who want to go beyond basic bereavement companioning to real expertise. To those who feel drawn to walk the Valley with hurting families, I am offering a certification program that will enable them to express this call as bereavement doulas, as bereavement support group facilitators, as memorial and burial advisers, as peer bereavement counselors and as advocates for the perinatally bereaved within their communities. And the whole time I am organizing, writing, editing, researching I am also remembering that this is the work my children’s lives have brought me to. Their tiny hands put my hands to this work. Their tiny beating hearts put this work in my heart. I am looking forward to walking this journey through the Valley with you friends. I hope you’ll join me in August as we begin.